Run any virtual machine. Run virtual machines created by VMware Workstation, GSX Server or ESX Server. VMware Player also supports Microsoft virtual machines and Symantec LiveState Recovery disk formats. Access host PC devices. Use host CD/DVD drives, network adapters, and plug-and-play USB devices. Drag and drop. Drag and drop files between a Windows host PC and a Windows virtual machine. Multiple networking options. Virtual machines can share or obtain new IP addresses or be isolated from the network and host. 32- and 64-bit host and guest operating system support. Run a wide variety of virtual machines containing 32- and 64-bit operating systems simultaneously on the same physical PC. Compatible 64-bit guest operating systems include select Microsoft Windows, Red Hat, SUSE, and FreeBSD distributions. Adjustable memory. Tune virtual machine memory for optimal performance. Configurable shutdown. 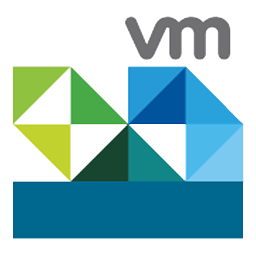 Power down or suspend the virtual machine when closing VMware Player. Integrated Google Search. VMware Player includes Google search capabilities, fully integrated for conveniently searching the web without launching a browser. VMware Workstation Player contains an integer overflow vulnerability in the virtual network devices which may allow a guest to execute code on the host. The Common Vulnerabilities and Exposures project (cve.mitre.org) has assigned the identifier CVE-2018-6983 to this issue. See VMSA-2018-0030 for further information. Intel Skylake and AMD Ryzen CPU support is enabled. Workstation 14 Player introduces a new virtual NVMe storage controller. NVMe devices require virtual hardware version 13 / ESXi 6.5 compatibility and later. Workstation 14 Player introduces Secure Boot support for Virtual Machines to ensure only trusted code is loaded by the UEFI firmware prior to the OS "handoff" process. With new Network Latency Simulation feature, you can simulate a specific network environment along with existing network speed and packet loss simulator. With improved OVF/OVA support, Workstation Player provides an effortless walkthrough to deploy the VMware VCSA (vCenter Server Appliance) OVA package for testing and experimentation within Workstation. VCSA6.0 and 6.5 are supported. Linux Workstation Player UI has been rewritten to support GTK+ 3.